...and one that is made to soothe when repelling isn't completely effective. Even though I received these samples early in the season I wanted to give them a thorough workout over the whole summer, hence this review so late in the year. Advertised to provide a 15' (4.5m) zone of repellency (actually shown as "15 x 15", so a square? Also, isn't it technically a cube? ), it sounded perfect to use on the deck -- so that's where I tested it. ...and a tiny flame heats the area under the pad, causing its vapors to waft and fill the 15' (4.5m) area. We tested it again a couple of times (for less than an hour each) with similar results: less mosquitos once the unit got going, but one still snuck in occasionally. My problems with this product: although it ships with three of the repellent pads, that's at most 12 hours of protection. 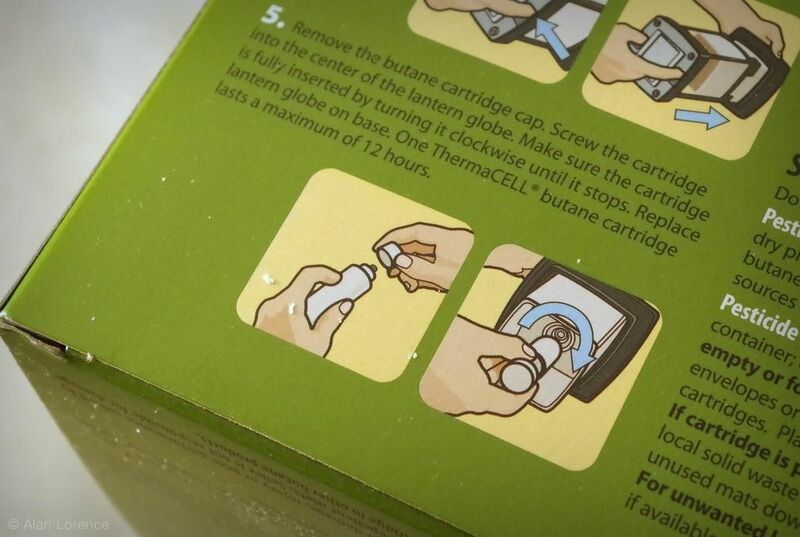 The butane canister lasts a maximum of 12 hours too. Seems like you'd be using this thing once in a while (for an outdoor party maybe), but it's not something you could use every evening -- unless you like buying refills. 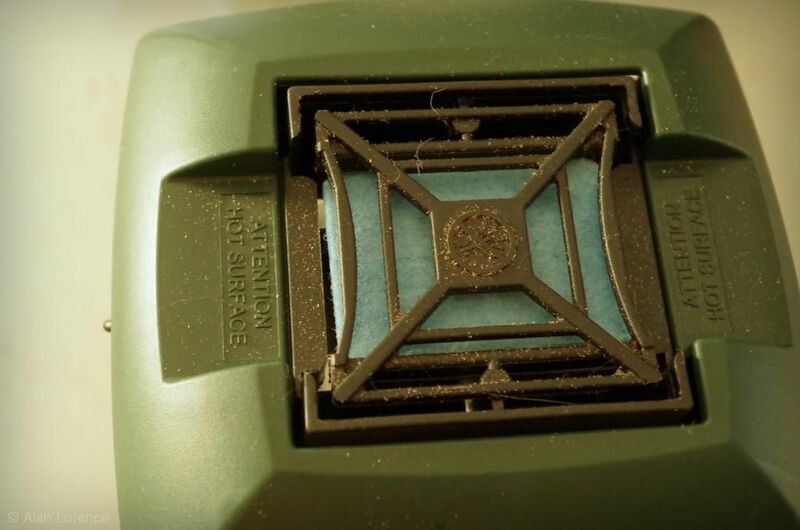 I do have one question if any of the ThermaCELL people end up reading this review: how long will the mats last stored in the unit? They turn from blue to white when exhausted in use, but they must also dry out if you don't use the lantern for a while. I'd be upset if I used a pad for an hour and a month later it was no longer good. 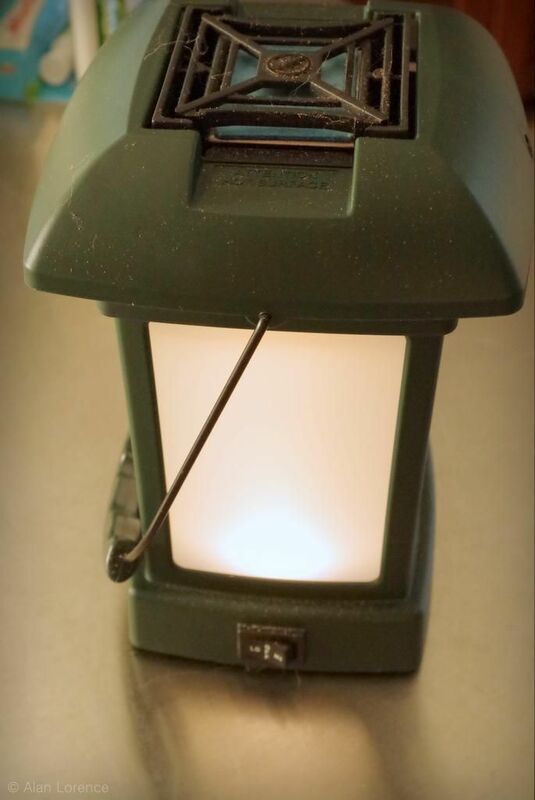 It's nice that I can use this as a LED lantern even when not trying to repel mosquitos, but even in that capacity I won't be using it too often. 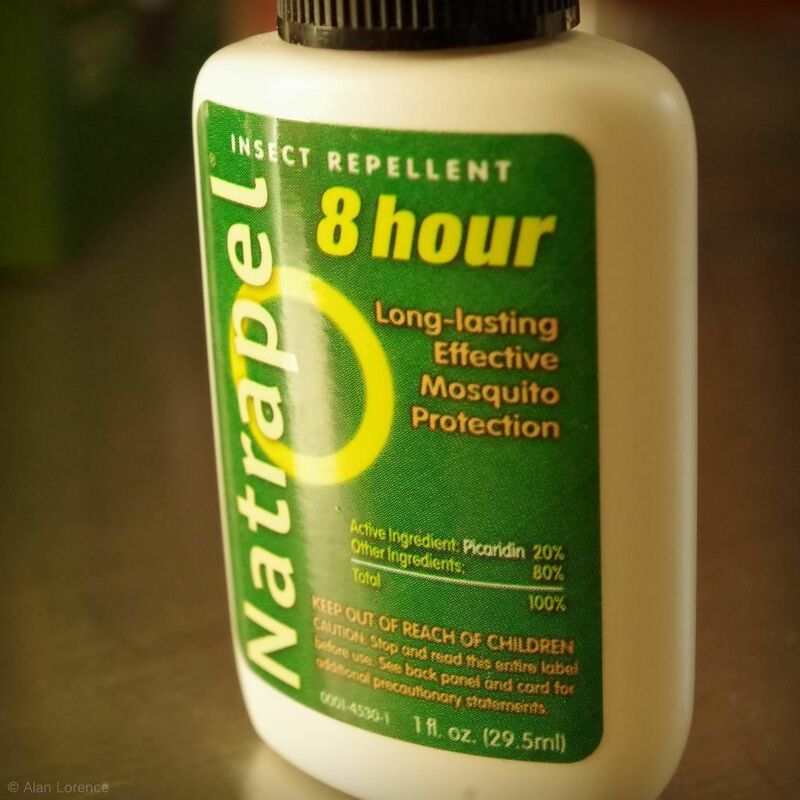 I thought from the name "Natrapel" that this would be a natural repellent, and in fact that's what I thought all summer when using it. Reading more closely this morning I see that the active ingredient is Picaridin, which is a synthetic -- more about that compound here. The spray seemed to work as well as any other I've used, and in fact smells much the same as those others I've used in the past. My problem with all sprays of this kind is that unsprayed skin is still visited by mosquitos. Spray my arms and legs and they still land on my face. It may be my imagination but it seems like they land more on my shirt-covered back when I'm wearing repellent too. 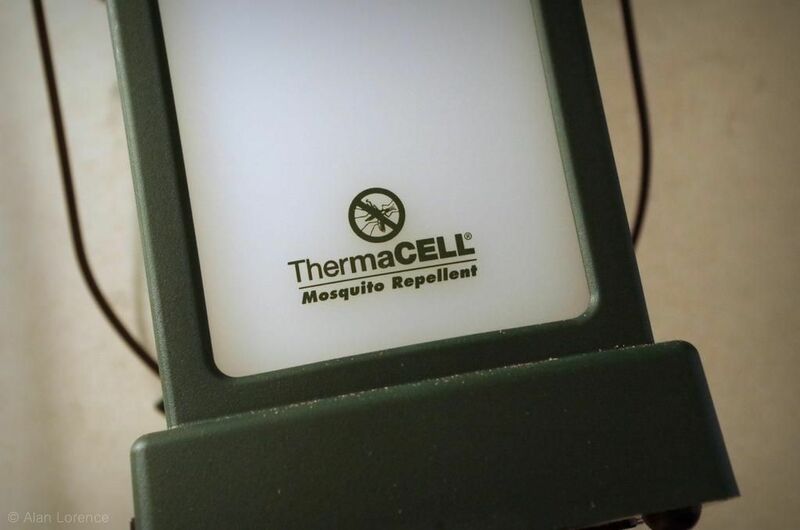 So this stuff works, but still doesn't keep every single mosquito from biting. I'm disappointed in the misleading name -- that's probably my biggest complaint with this. Disclaimer: mosquito bites don't typically bother me. I don't even get a bump most of the time, and usually don't notice when I'm being bitten. There have been times when I've been working in the garden and have looked down to see a dozen mosquitos on my legs -- unfelt during or after the biting. So I feel no real need to use sprays like this -- although mosquitos in the face are very annoying. Still, there are times when something bites me and it causes some reaction, and that itching just won't stop. Or bee stings -- a bumble bee got me on the back of the neck this summer. Ouch! 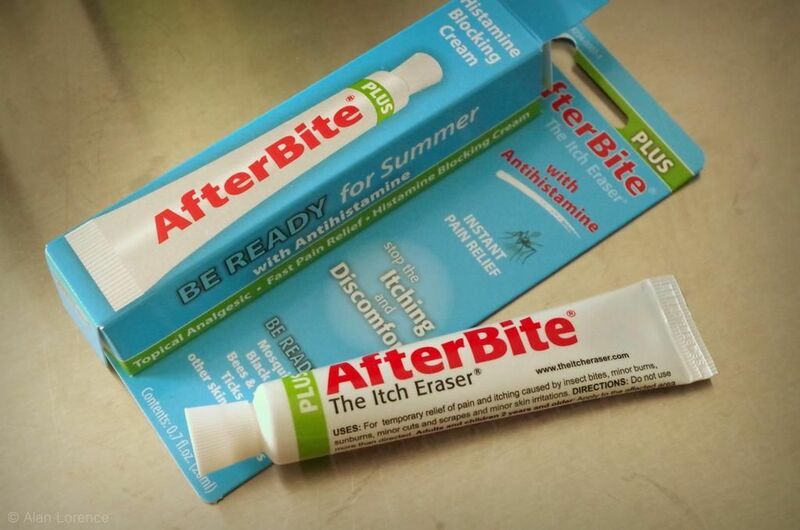 For bites that do bother, this other product is really great: AfterBite. Actually this is AfterBite Plus, a cream that contains antihistamine. It works on itchy bites but also stings, and works pretty fast -- the itch (or pain) is gone in a few minutes at most. 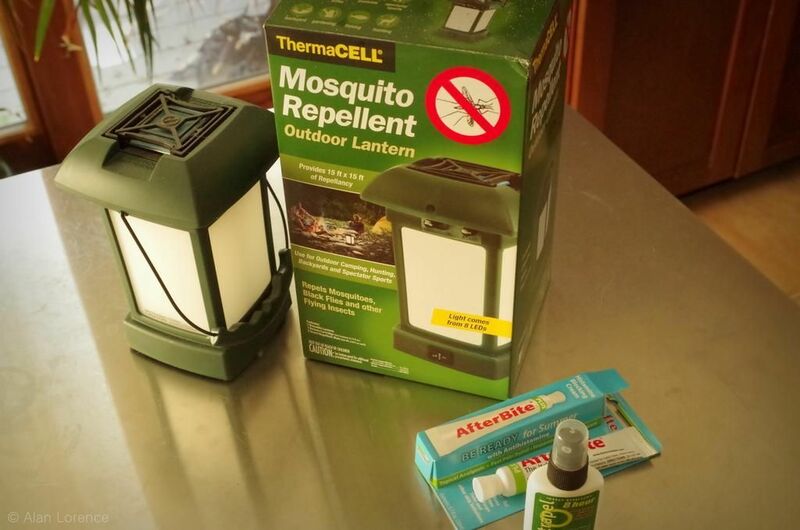 ThermaCELL lantern: Certainly reduces the number of mosquitos but some still get through. Provides only 12 hours of protection before refills are needed. Handy LED lantern though. Natrapel spray: Name is misleading. Works fine but requires all skin (and some clothing) to be sprayed. AfterBite Plus histamine blocking cream: works great both on itchy bites and painful stings. Note that I received all of these products free of charge in order to review them, but was not compensated in any other way for these reviews. Plus I only review things that I have a use for so will actually use. Great post. I'm highly sensitive to mosquito bumps--I get bumps that sometimes last for 2-3 days. The only thing I've found that truly repells them is also the worst for your skin--DEET. Maybe I'll try Natrapel since it's at least marginally better. AfterBite Plus sounds like a sure winner though. I'll look for it. Mosquitos rarely go after me, a fluke I've benefited from my entire life. However I think it's payback time though as something has been biting me regularly for the last two late summer/fall seasons in the garden. Tiny extremely irritating bites, my reward for time spent out in the garden yesterday is a new one right under my bra strap, fun. I bought AfterBite as a liquid in "pen" form (dab it on the bite, erase the itch) and it doesn't work worth beans. I guess I need to try and track down the cream. Gerhard: my mother gets golfball-sized lumps. I'm glad I didn't inherit that. Loree: They sent me the AfterBite pen too, but since I had the "Plus" I went for that first. It's kind of difficult to test both, but if I get another bite this year (might be out of time for that though) I'll give the pen a try.